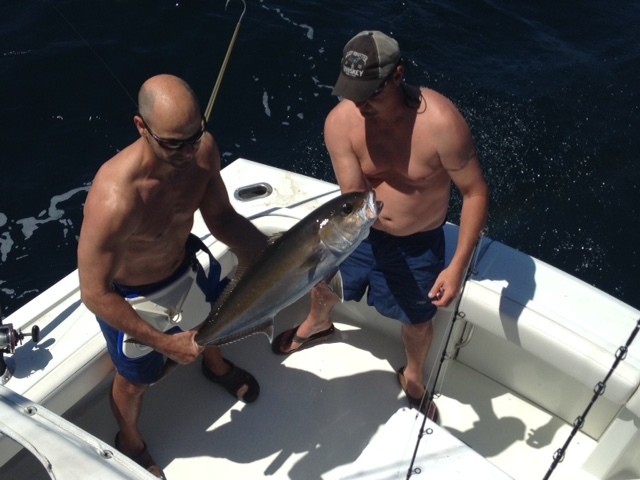 The amberjack is a large fish with a lot of fight. 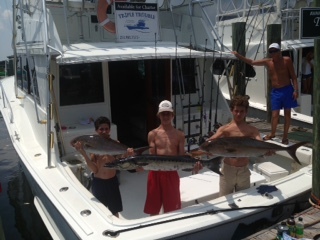 If you are looking for a true angling battle that you can write home about, hooking an amberjack will do it. 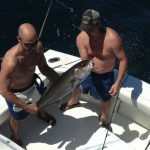 Amberjack can grow to be exceptionally large and, if you are lucky enough to hook one of these monsters and skilled enough to bring it aboard, you may even have to recruit a friend or a member of the crew to help you pose for a picture. 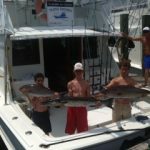 Either way, you will have a great experience on your Amberjack fishing trip in Orange Beach, Alabama aboard The Triple-Trouble. Amberjacks are known in the region as “sea donkeys,” both due to their brownish coloring and, of course, their astounding size. 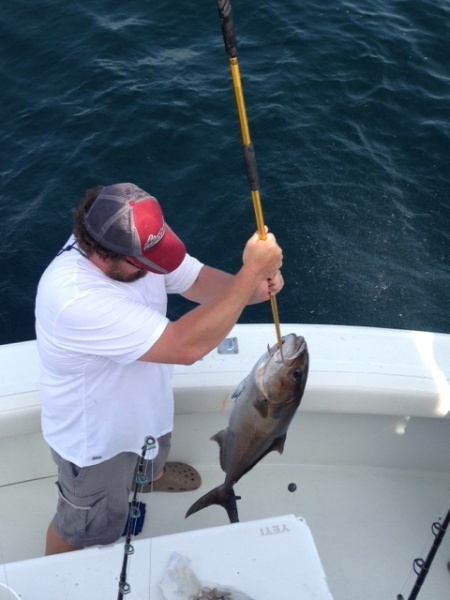 The record-breaking amberjack was more than 125 pounds and it was caught off the coast of Biloxi, Missouri. 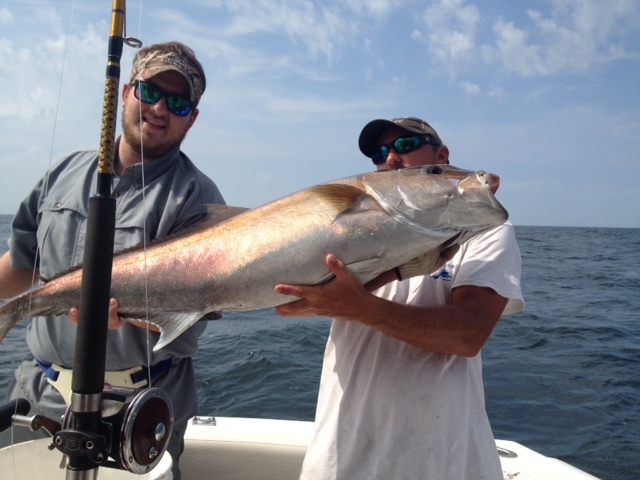 Though amberjacks weighing more than 100 pounds are far from common, large amberjack are found off of Orange Beach frequently, usually hiding in between oil rigs, around rocky reefs, wrecks or harbors. 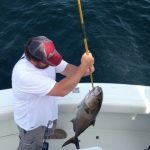 While amberjacks are more commonly sized at around 10 to 15 pounds, the greater amberjack, the most popular sub species, can often be caught at weights between 30 and 50 pounds. 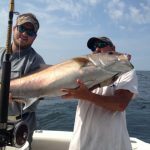 Schedule an amberjack fishing trip in Orange Beach, Alabama today and get ready for a fight that will test your skills – and maybe even bring in a record-breaker. Call Capt. Chad Reyer today at 256-431-5767 to plan your trip.